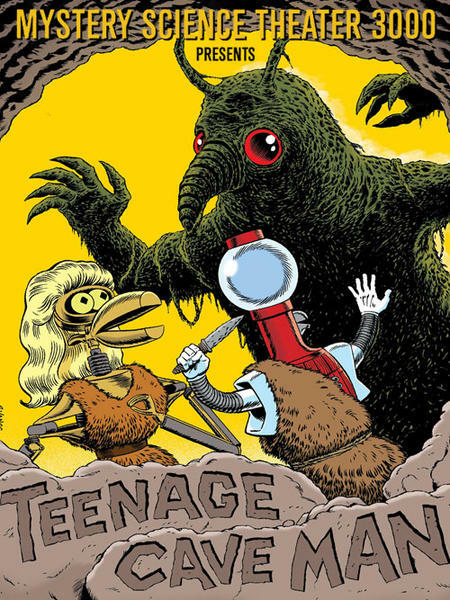 Teenage Cave Man may be the most disingenuous title of a film in Mystery Science History. Teenage? Maybe his chin stubble is. Cave? Not in the strictest definition. Man? Check the title card, bucko. This purported teenage cave man spends his days as most pubescent cave dwellers do: slicking his hair back, sneaking out past curfew, doing battle with an irradiated monster. Meanwhile, on the satellite of love, don’t miss rainy day ipecacs, "Catching Ross," and a particularly informative history of technology! 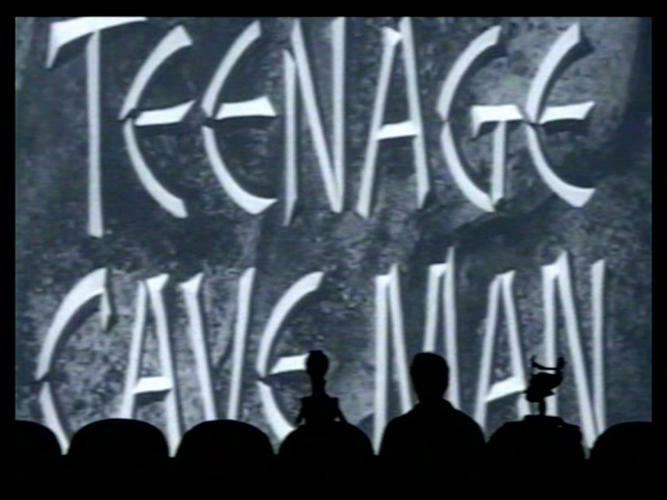 Join Joel, Servo and Crow as they purposefully wag their fingers in the general direction of the Teenage Cave Man!